Whoever built it here should pay. It is a shame to build something like this in such a beautiful environment, "said angry Josef Polonyi, who lives near the unfinished and never inhabited hotel houses on the edge of Frenštát pod Radhoštěm. More than twenty years ago OKD built it for miners who should work in the mine Frenštát. However, mining was stopped after one year in 1989 and the unfinished houses ran out of money. "In addition, the object lost its meaning because it was built for mine," says the former chairman of the Association of Towns and municipalities to protect Beskydy region Karel Míček. We will see the mountains from all sides, the people rejoice. Years then Frenštát tried to owner do something with houses. Now we a wish will fill. Heavy equipment began to disassemble the panel blocks at the beginning of August. "After years finally we can see all the mountains around us. Noise and little dust will survive only if it is lost" welcomes the change Mr. Polonyi. If the work will go according to plan then should be the houses completely leveled in the middle of November. Early next year, the current owner of the land will discuss further use of the area with the city municipal council. "The most likely seems to use for leisure, recreational and sports activities," says Petr Handl, a spokesman for the RPG which now houses belong. The city would welcome such an option. "The area would bring many opportunities not only for local people but surely the tourists," said Mayor Zdeňka Leščišinová. The land binds many limits, nothing megalomaniac would not build there. "According to them, there would not be anything with a solid foundation," says Mr. Míček. However, Frenštát residents have one more wish. "When disappears mining towers, we are satisfied," points out another man of Frenštát. Recently they have actually glimmer of hope. Found that dozens of buildings in the mine complex expired its necessary occupancy permits. Things are now engaged in building office. Company OKD but asks to keep the buildings in the next twenty years. "If the authority decides to remove them or extension of approval is a matter of official procedures. Course, it's one of the ways to get out from here but we have to obey the laws," said Deputy Mayor of Frenštát, Mr. Pavel Mička. 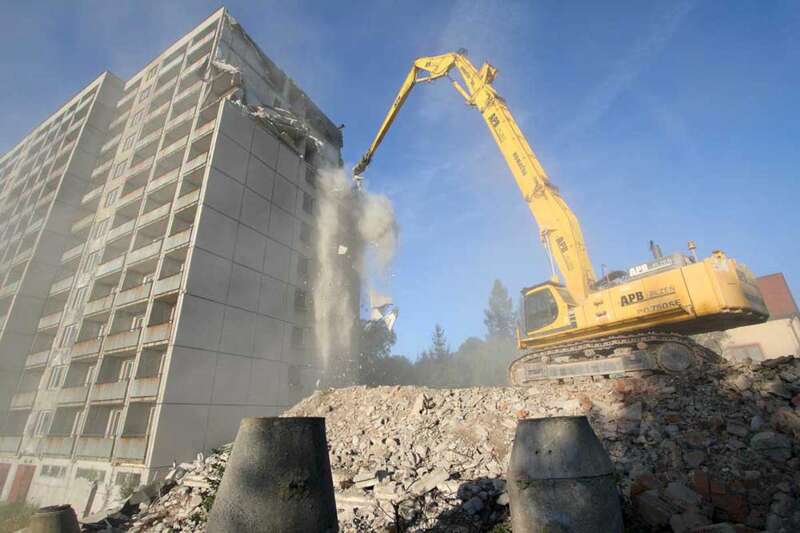 Watch photos and video from demolition!